Pattie, is there an age when children can handle the realities of bad things happening in the world? Likewise, is there an age when they can’t? Realistically, there is no “one-size-fits-all” approach. Much depends on the age, maturity level and temperament of your child. Most parents want to protect their children from alarming stories in the news. That’s okay. But in many cases, kids already know about these things… either through friends at school, by watching tv or even surfing the web. Very young children, under the age of 7, should certainly be protected from most disturbing or intense news stories. Their sense of reality vs. fantasy can be a little blurry at this age. Turn the TV news off when little ones are around, especially when graphic images may be shown. Older children may be more aware and ask questions. Perhaps they’ve talked about it in class or they’ve seen news reports. Start by asking your child what they’ve already heard and take it from there. Answer their questions with short, clear explanations. Simple facts, truthful but not too explicit. Keep it black and white if possible. If you’re discussing topics like a recent shooting or violent crime, reassure kids that this is an isolated incident, and that as parents you take thorough precautions to keep them safe. There is no need to elaborate on the behavior of abductors or molesters. When should we talk to our kids about war or murder and how can we do it in a way that still helps them feel safe? I don’t recommend simply bringing these topics up with your kids out of nowhere, but if there is a current event that you think they may have heard about, ask them directly. “Have the kids at school been talking about …? Are the teachers in class discussing…?” Keep things in proper context, explaining that certain events are rare occurrences, or far from where you live. How do I tactfully steer away from upsetting topics without making my kids feel like they are getting the brush off or are being lied to? Kids hate feeling like their parents don’t take their concerns seriously or that they are being lied to. Ask them why they may be bringing up a certain topic. If they seem worried, acknowledge that feeling and then put things into perspective. Try and steer the conversation into a “teachable moment” by discussing things like tolerance, compassion, or ways to help others in need. How can our kids still feel safe in a world where these terrible things happen? 1. Parents of young children should turn off the TV news, especially when there are disturbing stories or images. Children should not be exposed to more than they can understand. 2. With older children, watch the news WITH your child, gauge their reaction and help them process what they are seeing with a calm, nurturing manner. 4. Don’t over-explain or get too “wordy” when answering questions. Use short, clear facts & statements and keep things in context. 5. Limit the amount of exposure you child may have to the news media – balance their “news diet” like you would balance their sugar or candy intake… In other words, healthy increments. 6. 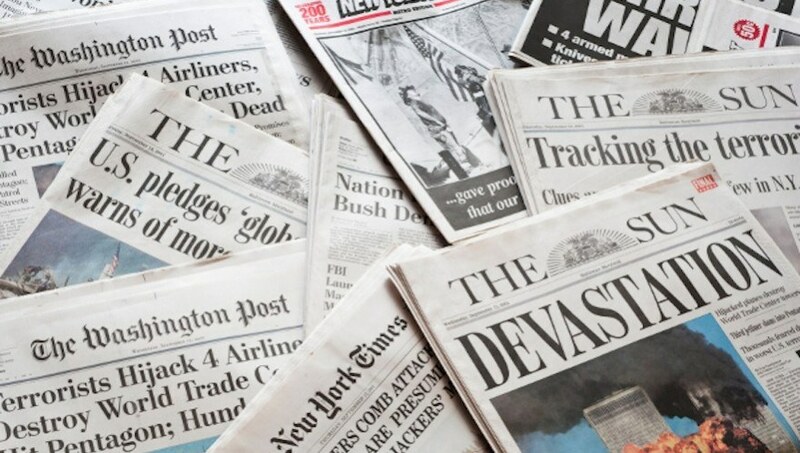 Avoid repeated exposure to the same news event. By watching the same story over & over, it makes it seem as if this is a common occurrence or is happening more often than it actually is. 7. Check in with your school and ask your child’s teacher if they are discussing certain current events or topics. 8. With natural disasters such as hurricanes and earthquakes, show your child the safety measures you have in place… canned food, extra water, earthquake kit, batteries, etc. Remind them that many people go through natural disasters and are okay. 9. Let your child take the lead when discussing worrisome topics or upsetting news stories. Listen to their concerns and acknowledge their feelings. Are they afraid or just simply curious about an issue? 10. Don’t label their feelings as “wrong” or “silly”. Let them know it’s okay to feel whatever they may be feeling. 11. Monitor what your children see online. Set your URL’s to non-news portals. 12. Use certain media stories as “teachable moments” to help children process and find a positive outlet for their feelings. Pattie Fitzgerald is the founder of Safely Ever After, Inc. and is recognized as a leading expert in the field of childhood sexual abuse prevention education. She is certified as a Child Safety Educator and Child Visitation Monitor, and has been working in the field of child advocacy for over ten years. As a former preschool teacher, Pattie blends her expertise as an educator and, more importantly as a MOM, to teach parents and kids every where the most effective, up-to-date safety strategies WITHOUT using fear tactics. For more information visit Safely Ever After.